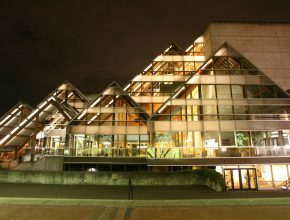 Hale Centre Theatre Learn how Hale Centre Theatre uses ListenTALK to offer more engaging tours. 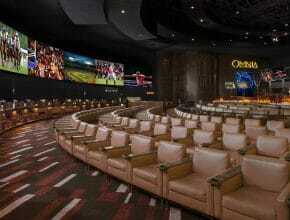 Caesars Palace Sports Book Read how Caesars Palace uses ListenWiFi to ensure their customers have an optimal experience. 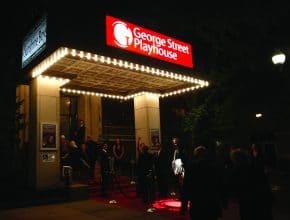 George Street Playhouse Read how ListenRF is providing a better experience for George Street Playhouse patrons. 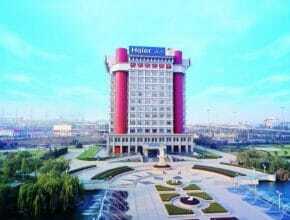 Beijing Foton Daimler Co., LTD (Chinese) Beijing Foton Daimler Automotive Co., Ltd (BFDA) installed Listen Technologies ListenRF wireless simultaneous interpretation system and ListenPortable audio tour guide system. 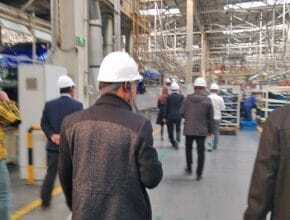 Haier Group (Chinese) Haier installed Listen Technologies wireless simultaneous interpretation system and audio tour guide system to help Haier conduct guided onsite tours. 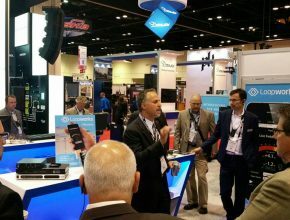 InfoComm AV Technology Tours Read how InfoComm International uses ListenRF to ensure AV Tech Tour attendees have an optimal experience. 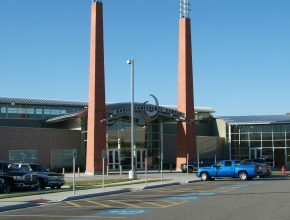 University of California, Riverside Read how UCR uses ListenWiFi to help improve their student rec center. 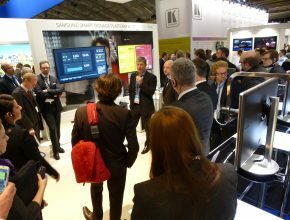 Invidis Consulting GMBH Understand how invidis consulting used ListenRF tour guide systems to overcome a tradeshow bustling with activity and sound. 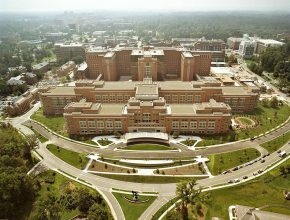 National Institute on Deafness and Other Communication Disorders Learn how ListenLoop is helping patients, staff, and researchers every time they visit the institute. 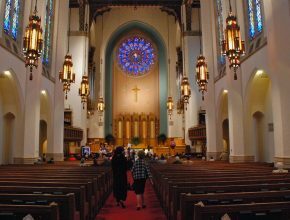 R. E. Lee Memorial Church Read how this house of worship is using ListenLoop to help their congregation enjoy the services. 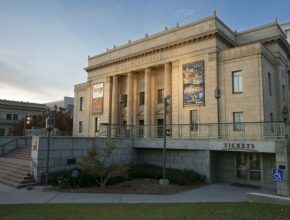 Kingsbury Hall Learn how ListenIR helped theater goers enjoy every performance. 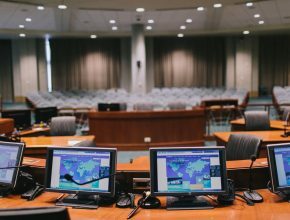 L. A. Metro Understand how ListenIR provided a solution for a conference room with multiple language needs. 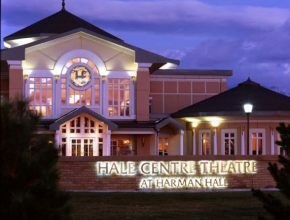 Hale Centre Theatre Read how this theater is using ListenRF to improve the experience of their patrons. 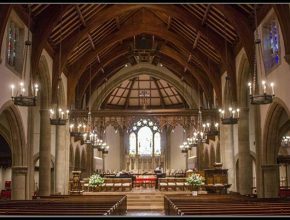 First Presbyterian Church Read how this house of worship is using ListenLoop to help their congregation enjoy the services. 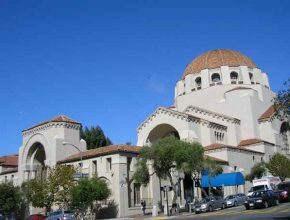 All Saints Church Read how this house of worship is using ListenLoop to help their congregation enjoy the services. 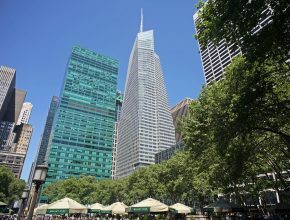 Bank of America Learn how ListenLoop is helping patrons every time they visit the bank. 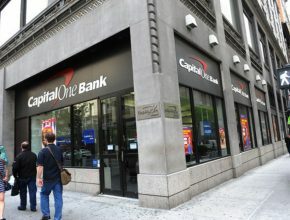 Capital One Bank Read how ListenLoop is helping patrons when they visit the bank. 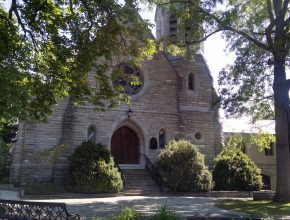 River Oaks Community Church Understand how ListenRF is providing this house of worship with the solutions to meet both assistive listening and language interpretation needs. 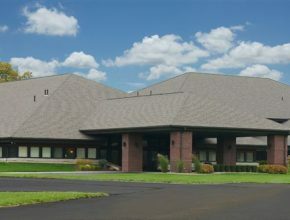 Emanu-El Synagogue Read this house of worship specific reference with solutions to challenging installations in unique architecture settings. 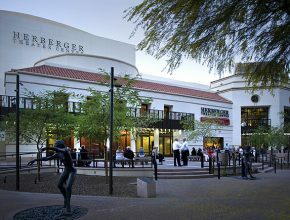 Herberger Theater Center Read how this theater is using ListenIR to improve the experience of their patrons. 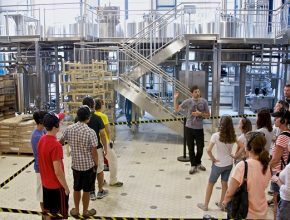 Allagash Brewery Understand how Allagash Brewery uses ListenRF tour guide systems to overcome an environment of bustling with activity and sound. 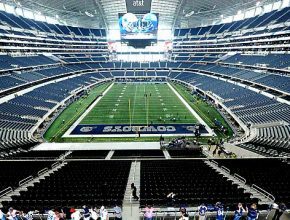 Dallas Cowboys Stadium Read how fans are enjoying games better using ListenRF. 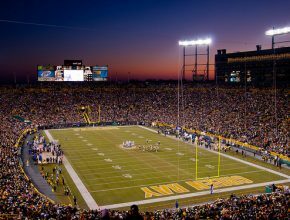 Lambeau Field Learn how Green Bay fans are using ListenRF to enjoy the games of their favorite team. 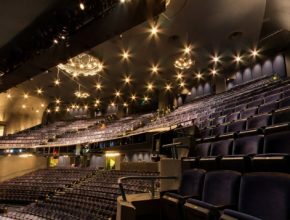 Gershwin Theatre Learn how ListenLoop is helping theater goers enjoy every performance. 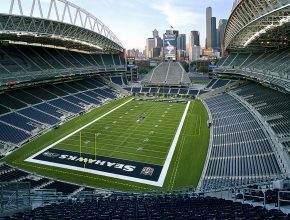 Seattle Seahawks Read how Seahawks fans use ListenRF to overcome the roar and activity of the crowd. 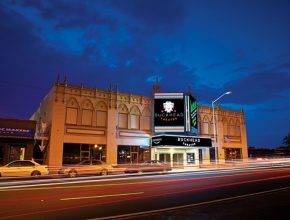 The Buckhead Theater After two years of renovation, The Buckhead is back in all its glory, playing once again to soldout audiences. 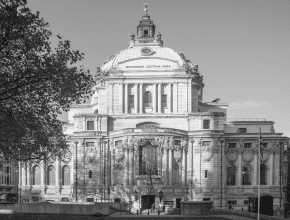 Read how the audiences are using ListenRF during these shows. 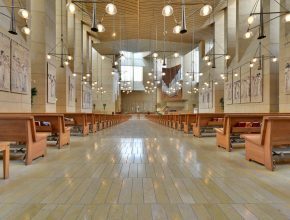 Cathedral of Our Lady of the Angels Read this house of worship specific reference with solutions to challenging installations in unique architecture settings. 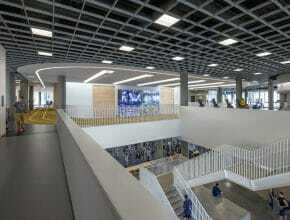 Davis Conference Center Read this overview of a conference center solution solving complex configuration needs including movable walls. 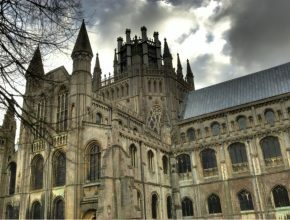 The Ely Cathedral Read this overview of a Listen tour group solution in a difficult hearing environment. 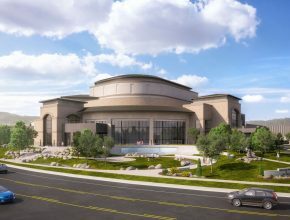 The Hult Center for the Performing Arts Understand how ListenIR was key in updating the assistive listening solutions in a community performing arts center. 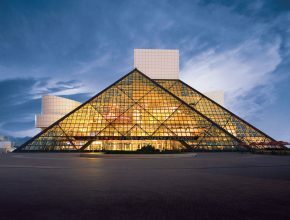 Rock and Roll Hall of Fame and Museum Read how the one and only Rock & Roll Hall of Fame uses ListenRF tour guide systems to increase intelligibility for patrons on the tour. 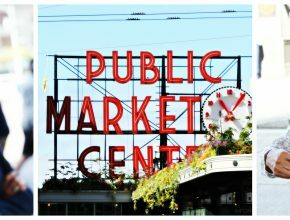 Seattle Bites Food Tour Understand how Seattle Bites Food Tours use ListenRF tour guide systems to overcome a market bustling with activity and sound. 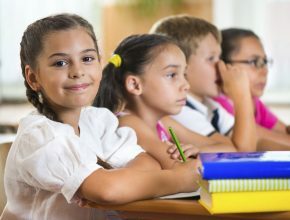 Seattle Public Schools Portable ListenRF systems allowed a school to offer language interpretation to assist bilingual students and their families.